1207 1St St., N. W. – One of the houses erected in the early forties Still Standing. Erected and occupied by William Bates. Now used by Central Union Mission (Children’s Emergency Home). 219 3rd St., N. W. – Home of Franklin Pierce, Jonathan Cilley, James Mason and Robert C. Winthrop, while members of Congress. 226 3rd St., N. W. – Here resided President Fillmore while a member of Congress. 5th St., between D and E Sts., N. W. – Now Columbian Building. Here, in the Trinity Episcopal Church edifice, the first meetings of the First Congregational Church were held in 1851. 6th and B Sts., S. W. corner, N. W. – Site of Penna. R. R. Station, in which President Garfield was shot, July 2, 1881. Site of temporary building used by Ordnance Department, 1918-20. Now site of George Washington and Victory Memorial Building. 7th and D Sts, n. w. corner, N. W. – Site of third office of National Intelligencer. center of square now occupied by Land Office – Site of first telegraph office in the world, opened and operated by S. F. B. Morse in 1844. Tablet on building. 7th St., west side, between G and H Sts., N. W. – Site of residence of Mayor John T. Towers. 2401 6th St. – Howard University – A collegiate institution chartered in 1867 for the education of colored youth. Its first president was Maj. Gen. O. O. Howard. 427 7th St., near Odd Fellows’ Hall- Office of “The National Era,” located here in 1847. “Uncle Tom’s Cabin” appeared in this magazine in 1851. Dr. Gamaliel Bailey, editor, resided at corner of 8th and E Sts. John Greenleaf Whittier was associate editor. 8th St and Market Space, n. w. corner, N. W. – Site of residence of Benj. G. Orr, 4th Mayor of Washington, 1817-19. 9th and D Sts., N. N. corner – “Lincoln Hall, afterwards old Academy of Music. 9th and D Sts., S. W. corner – ‘Centre House Inn” opened here in 1804 by Solomon Myer, who later, in 1806, located on Pennsylvania Ave., calling it Pennsylvania House and Myer’s City Tavern. 9th and E Sts, northwest corner – First General Post Office opened here in 1800, when city was located. 9th and E Sts., northwest corner – Residence in 1813 of Joseph Gales, editor of the National Intelligencer. 713 9th St – Alexander R. Shepard, Governor of the District of Columbia, 1873 1874, lived in house in rear of this number. 10th and E Sts., N. E. corner, N. W. – Old Medical College once located here. 511 10th St., between E and F Sts., formerly Ford’s Theatre – In this building President Lincoln was shot, April 14, 1865, while witnessing a performance of “Our Country Cousin.” Previously occupied by First Baptist Parish, long known as Parson Brown’s Church. Through Baptist Alley, connecting the rear of this building with F Street, Wilkes Booth ran, after assassinating the President. 516 10th Street, N. W. – In this house, then owned by William Petersen, tailor, President Lincoln died, April 15, 1865. It is now the property of the National Government and contains the Oldroyd Lincoln Memorial Collection. 518 10th Street, N. W. – The United Spanish War veterans was organized in this house, May 17, 1899, at the first public meeting of the survivors of the War with Spain. 708 11th Street, N. W. – Home of Hon. Amos Kendall, founder of the Kendall Scholar-ship at George Washington University. 11th and C Sts., N. E. corner, N. W. – Site of “The Theatre,” first building erected for a theatre in Washington. Designed by George Hadfield; Cornerstone laid in 1803. First performance Sept. 1805; play, “Wives as they were, and Maids as they are.” Burned in 1820; the ruins purchased by Carusi who opened it in 1820, calling it “City Assembly Rooms,” also “Carusi Dancing Salon.” During Civil War called “Washington Theatre,” later “Theatre Comique.” Inaugural Balls of Presidents J. Q. Adams, Jackson, Van Buren, Polk, Tay-lor, Pierce, and Buchannan were held here. 810 12th St., N. W.- Site of Strathmore Arms, once residence of Mrs. Mary S. Lockwood, “Pen Founder” of D. A. R., and here organization of D. A. R. was completed Oct. 11, 1890 at 2 P. M.
1848 12th Street, N. W. – Home of Charles Bird King, the artist, was located here. Architect for “Eckington,” built in 1830. 13th Street, west side, between E and F – Home of the third Mayor of Washington, Dr. James H. Blake, who was in office 1813-1817, at the time of the British invasion. 725 13th St., N. W. – Site of home of founder of D. A. R. – Mrs. Ellen Walworth. 813 13th St., N. W. – Here resided founder of D. A. R. – Miss Eugenia Washington. 13th St and R. I. Ave., N. W – At Iowa Circle, Statue of Gen. Logan, by F. Simmons. 14th and G Street, southeast corner – Now Federal National Bank. On this site was established, in 1821, the first Lancastrian School, in a small brick building occupied at one time by President Jefferson’s horses. School first located in E Street, opposite Blodgett’s Hotel, in 1812. Later F St., south side, between 9th and 10th Sts., N. W.
14th St., between I and K Sts., N. W. – At Franklin sq., Statue of Commodore John Barry, famous in Revolutionary War, was first U. S. Naval officer to capture an enemy vessel; designed by John J. Boyle. 14th and L Streets, southeast corner – On this site, corner Stone of second building of Unitarian Society laid in 1877. Named All Souls’ Church. Here attended President William H. Taft, Carol D. Wright, Lester F. Ward, Helen Hunt Jackson and many members of Congress. 14th St. and Vermont Ave. – The Portland -Here resided J. Sterling Morton of New York, Secretary of Agriculture and originator of Arbor Day. First apartment house built in city. Thomas Circle, northeast side, at M St. and Vermont Ave. – Judge Andrew Wylie house, For many years home of Judge Wylie of the D. C. Supreme Court. 14th St and Vermont Ave, N. W. – North of Thomas Circle, Statue of Martin Luther, a replica of central figure of Luther Memorial at Worms, Germany; original sculptor Rietchel. 1739 14th St., N. W. – Washington City Orphan Asylum. 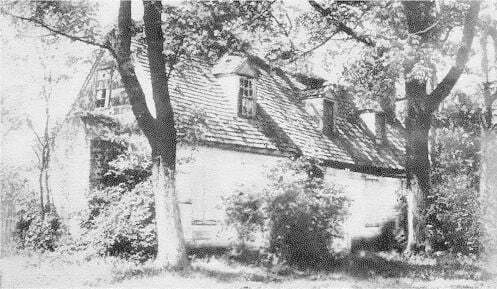 Organized in 1815 by Mrs. Madi-son, Mrs. Van Ness and “the ladies of Washington.” First established in small home on loth St. near Pennsylvania Ave. In 1822 moved to 7th St., between H and I Sts. ; in 1829 to a brick building on the south side of H St. near 10th, on land given by Gen. Van Ness; corner Stone laid by Marcia Burnes Van Ness. Present building, built in 1866, was occupied by the State Department 1866-75. Here was arranged the purchase of Alaska in 1867. 721 15th St., N. W. – Site of residence of Charles Dickens when visiting Washing-ton. 15th and O Sts., N. W. – Grace Reformed Church. President Roosevelt attended services here. 817 15th St., N. W. – Former home of Gen. William Tecumseh Sherman. 1221 15th St., N. W. – Headquarters of Landscape Club, which has made a specialty of painting the environs of Washington. 15th and I Sts., N. W. – Bellevue Hotel, formerly known as La Normandie. Once home of Vice-President Adlai E. Stevenson. Mrs. Stevenson was 2nd President General of D. A. R., 1893. 15th St., S. E. corner of G, N. W. – Keith’s Theatre now in site of Riggs House. 800 16th St., N. W. – In this house lived John Hay, poet, biographer and private secretary of Lincoln, Ambassador to Great Britain and Secretary of State. 16th and I Sts., N. W., Lafayette Hotel – Head-quarters of the British delegation to the Arms Conference. Lord and Lady Lee of Fareham guests here. 16th St. and N St., jct. Mass. and K. I. Aves., N. W- At Scott Circle, Statue of Gen. Winfield Scott, victor in the Mexican War; by H. K. Brown. 1401 16th St., N. W. – Formerly home of Vice-President James S. Sherman. 16th and S Sts, S. E. corner, N. W. – Scottish Rite Temple, modeled after ancient Mausoleum of Helicarnassus in Asia Minor. Headquarters of Southern Jurisdiction, F. A. A. M.
2100 16th St., N. W.- Justice Charles E. Hughes of New York lived in this house when nominated for the Presidency. Present home of Secretary of War, John W. Weeks. 16th St and Florida Ave., N. W. – Meridian Park. Named from Meridian Stone once placed here about 2 miles directly north of Zero Stone on the Ellipse. Site of Stone to be marked by Army and Navy Chapter, D. C, D. A. R. Here has been placed Statue of Dante, presented by Chevalier Carlo Barsotti in name of Italians of America; also the equestrian Statue of Jeanne d’Arc, presented by Societe des Femmes de France. 2200 16th St., corner of Florida Ave., N. W. – Home of Mrs. John B. Henderson, and the late Senator Henderson from Missouri. 2400 16th St., N. W. (Meridian Mansion) -The residence of Commodore David Porter, designed by Hadfield Stood here in 1816. Here President J. Q. Adams retired at close of his term of office. 2460 16th St., N. W. – French Embassy-Present ambassador, M. Jules Jusserand, dean of the Ambassadors in U. S., author and diplomat. 2829 16th St., N. W.- King Albert and Queen Elizabeth of Belgium, and their son, the Duke of Brabant, were guests here of Breckinridge Long on their visit to Wash-ington in October, 1919. Formerly home of Secretary of the Treasury, Franklin McVeagh; now the Mexican Legation. Headquarters of British High Commission in 1917. 1640 Cresent pl., N. W. – April 25 to May 3, 1917 this was headquarters Viviani-Joffre, French Commission, party included M. Viviani and Joffre and Vice-Admiral Cocheprat, Marquis de Chambrun, Lieut. Col. Fabry, Lieut. Col. Remond, et al. 17th St., south of B St., N. W. – Statue of John Paul Jones, famous naval hero of Revolutionary War; by C. H. Niehaus. 17th and B Sts., N. W. – Pan American Union Building, one of the official buildings used by the Arms Conference. The Pan American Union is composed of twenty-one republics of North and South America, having for its objects “Peace, Friendship and Commerce.” Andrew Carnegie gave $750,000 towards the erection of the building, which has a library of 30,000 volumes. On this site was David Burnes’ cottage, situated on the bank of the Tiber, a tributary of the Potomac, which, in those days formed a bay at this point. Mr. Burnes was one of the Original Proprietors of the city, and on his farm today stand many Government buildings. On his death, in 1799, his daughter, Marcia, became his sole heir. She married John P. Van Ness, Representative from New York. Later, as General Van Ness, he was prominently identified with affairs in the District, and became Mayor of the City. On the site of her father’s cottage they built a mansion, the most modern of its day. It was designed by Latrobe, and, with its surrounding grounds was called Mansion Square. This square was acquired by the Government April 17, 1907, and is the exact center of the ten mile square constituting the District of Columbia. 17th and C Sts., N. W. – Memorial Continental Hall, the home of the Daughters of the American Revolution, Stands on the site of the Carbery Mansion. Thomas Carbery was the sixth Mayor of Washington and paid a cent a foot for the land. Corner Stone of Memorial Hall laid April 19, 1904. The Conference on Limitation of Armaments, called by Secretary of State Hughes, convened in this building November 12, 1921. 17th St., between C and D Sts., N. W. – Here, in 1821, John Quincy Adams, Secretary of State under President Monroe, erected one of the first pebble-dash house in the city. Occupied in the forties by Capt. John Peabody. 17th St., between D and E Sts., N. W. – Erected “In memory of the heroic Women of the Civil War” as the headquarters of the National American Red Cross Society. 17th St. and New York Ave., N. W. – The Corcoran Gallery of Art, first opened in the Southwest in 1869. Present building designed by Ernest Flagg of New York. 528 17th St., N. W. – McKean House, erected in 1820 by Thomas McKean, Chief Clerk of the State Department under Madison; intimate friend of the Madisons and of Major L’Enfant. 616 17th St., N. W. – Site of General Winfield Scott’s headquarters in 1861. 18 and N Sts., southeast corner – Church of the Covenant, completed in 1889. President Harrison, James G. Blaine and Robert Lansing are numbered among its attendants. 1302 18th St., N. W. – Elihu Root, former Secretary of State, and Senator of the United States, resided here during the sessions of the Arms Conference, also Hon. Arthur J. Balfour. 1323 18th St., N. W. – Residence of Robert Lansing, former Secretary of State. 1529 18th St., N. W. – Residence of Charles Evans Hughes, Secretary of State, and chairman of the United States delegation to the Arms Conference. 19th St., between M and N Sts., (back of British Embassy) – Site of first home (log) of General James M. Lingan, Revolutionary patriot. 1310 19th St., N. W. – Once home of Theodore Roosevelt, while Civil Service Commissioner. 1700 19th St,, N. W. – Home of Senator John W. Daniel. 19th St. to 23rd and H St., south to the Potomac – Hamburg – This tract in 1768 divided into building lots, making town site called Hamburg. An act in 1S06 fixed the hack fare from the President’s house to Hamburg wharf, at the foot of 21St St., at twenty-five cents, showing it an important location. In 1807 a glass making industry started here. “Old Glass House” Stood at southeast corner of 22nd and Water Sts., just East of “Camp Hill,” the latter so-called because soldiers were encamped there in the War of 1812. Old Naval Observatory afterward built on this hill.